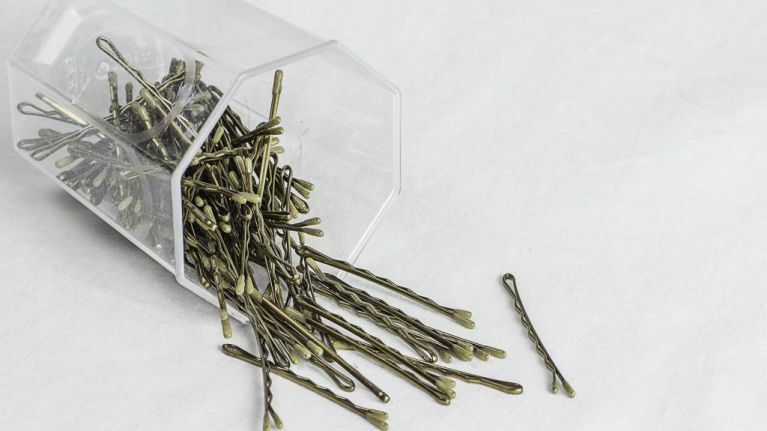 We all love a good bobby pin, even though they inexplicably disappear the SECOND we buy them. Now we're not trying to be dramatic, but we've figured out a bobby pin hack that will LITERALLY change your life. The only problem with bobby pins is they fall out... in fact, the shinier your hair is, the harder it is to keep the bobby pin intact. We know, we know.. you put it in backward or upside down! Yes, that helps, but we've found a way to keep the bobby pin in your hair through rain/wind/sleet pretty much anything an Irish spring has to offer. And it's SO EASY. Good old fashion hairspray will do the trick. You simply spray the pin before you put it in your hair and be prepared to have the same incredible hairstyle all day long, it honestly won't move all day. The Her ladies have tested this hack out, and it's two thumbs up from us.